How would you like to have more money in your hands to bring up your children, spend more on life, yet still live responsibly? I think that is the dream of many people but unfortunately, the narrative often quoted is that things cost much more nowadays compared to our parents time. Readers here would draw a common theme here in that, we each have very differing situations, but what is most potent for us is to be able adopt fundamental sound knowledge, and our own data, to be flexible in planning the kind of life we are comfortable with. I got triggered by someone exploring the possibilities of front loading their wealth building, such that after a certain age, they can stop putting money towards wealth building, yet have enough to retire at the age of 65 years old. 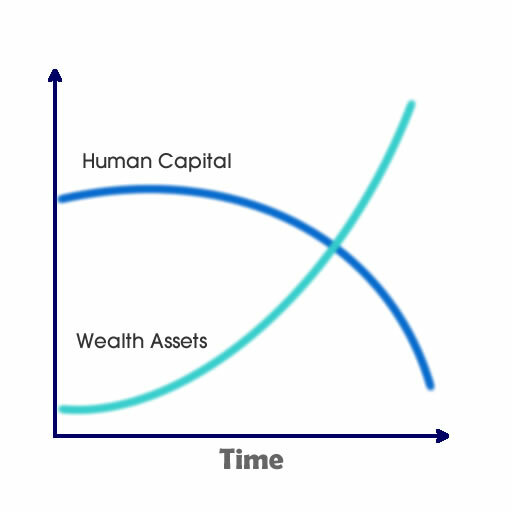 The idea is the main point of a very well shared advice that, due to the power of compounding over a long period of time, if you put more money towards wealth building at the early period, you sort of achieve the same amount of wealth build of someone starting late. The question here is whether it is possible to front load your wealth building such that you dramatically cut down on how much you put towards wealth building after a certain point. I sort of feel that not everyone will be in a position to pull of something like putting more into wealth building and then taking the foot off the pedal. You would need to be earning above average of your peers to front load well, yet be able to reach a decent financial independence or retirement. If you and your girlfriend or spouse earn an average wage, its not that you cannot do it, you can still front load, but it is likely throughout your earning period, you cannot step down how much you put into wealth building too much..
A good case study is the folks that write at My 15 hour work week. They are rather young in their period of wealth building, coming out to work at 25 and are still very young at 28 or 29 years old. 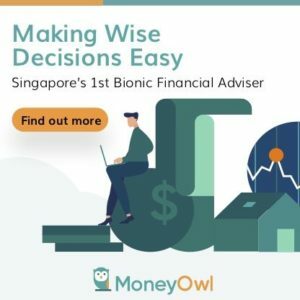 Yet a review of their very first income report and the most recent income report have shown a non-CPF net worth of nearly $300,000 built up for a couple that haven’t hit 30 years old. That is rather remarkable and while I believe they are outliers, it does show that it can be done. There are much to like about the early 20s, in that this is where you are at the peak of your energy and ability to devote yourself well to fulfilling your human capital potential. Thus it makes a lot of sense to prioritize earning well, spending less and building wealth wisely at the early stage of the career. Like the example of the family at 15HWW, front loading wealth building involves putting much more into wealth building at your most productive period, then taper off when you re-prioritize to focus on other areas of your life. For a couple that starts off earning above average, they would be able to save 50-65% of their take home income. In this example they put away a combined $50,000 annually ($2080 per month each) for 6 years to build wealth at 5% rate of return during the intensive wealth accumulation stage. After that, they decide to cut to 30% of their intensive wealth accumulation for the next 8 years, only putting $15,000 per annum ($650 per month each) into their wealth building. At the end of the Low Wealth Accumulation Stage, they would have accumulated $744,708. This is at the age of 40 years old. After the age of 40, the couple will put ZERO additional funds to building wealth, which basically means they let the $744,708 grow towards their retirement age. Suppose they would like to retire by 55 years old, which is 15 years away from 40 years old. At the same rate of return, their $744,708 at the end of age 40 would have grown to $1,548,194. That looks a decent amount to retire upon, but considering the couple at age 55 would probably have 40 years to live, this amount may not be enough. If the couple have a combined expenses of $36000 per annum ($3000 per month), 30 years later at a 3% inflation, the combined expenses will be $87,381. This comes up to a 5.6% withdrawal rate based upon a Wealth Fund of $1,548,194. This level of withdrawal rate is very high, and requires much variable decision making in wealth spending to ensure it last for 40 years. Since this is a case study, things are not perfect, inflation rate can be much higher or lower, wealth building rate of return can fluctuate as well. The crux of the matter is that, front loading wealth building, does help build up a decent Wealth Fund to be available to be financially independent. It is not a law that you can only front load for 7 years. If you want to do it for 10 years or 5 years based on your situation then so be it. The idea to be sold here is that for folks that are flexible in their thinking, they can take this idea and run with it. Its debatable whether having children at the age of 32 ( for the woman) is a good idea. From what I remember, I was born when my mom is 31, so i think I turned out ok.
Perhaps there are some things that cannot be delayed, such as it is more problematic for woman over the age of 35 to be pregnant and gave birth to healthy babies. If you are adamant that you wish to start a family sooner, then you have to shift accordingly. Front loading wealth building would mean the amount you step down that is not funnelled to your Wealth Machine is put to your children. If your spouse is bugging you whether they can stay at home and take care of the children, be a stay at home mom, they might be more sold to the idea of putting so much to building wealth at the start. While it can be challenging for the spouse who has to take on the full load of household expenses and mortgage payment, this plan may be for the better as the stay at home spouse can provide better care, education and attention to the children. In the case of Mr and Mrs 15HWW, I have no doubt that having build up $300,000 so early enabled them to have a piece of mind, knowing that in a few unplanned scenarios, the amount can in the worst case be tapped upon for 1 or 2 years of living expenses should both of them be unemployed. It has also afforded Mr 15HWW to take a 6 month sabbatical from work and now Mrs 15HWW turn to be unemployed! Many of my peers cannot imagine what life would be like if such retrenchment takes place to the main income earner so to see them taking this in their stride is an eye opener. My conclusion is that putting more into wealth building at the start and tapering it off works well if your income is of a certain level. Many would criticize that how many can start saving $2,100 per month when they start working when they are bury in student loans, parent’s allowance, wedding costs. I will say again. Not every one can, but if your situation permits, this is a good idea to pursue. Convincing the spouse is another tough nut to crack, and not everyone can live with themselves to horrendously brainwash their spouse to accept this kind of lifestyle as Mr 15HWW. Did you pursue this unique way of rapid accumulation and then reducing your amount of wealth building? How has that work out for you? I read the 15hww blog and I can’t help but to wonder how much are the couple earning per year combined? Say both save combined 50k per year. That will take 6 years to reach 300k net worth of which They have about 100k cash. That will take two years to build up. I am wondering where they got the rest of the cash from. Either they had very high capital gain from their starting investments or they started out with more upond entering the workforce. What is your take kyith? Their Wealth Machine have grown a fair bit. So its not entirely cost. their invested amount is not the full 300k. I have followed the 15hww blog for some time and been curious about their earnings per year combined. Based on their income tax of ~$2K (mentioned in their fixed monthly expense entry, less than 2% of their combined income), I estimate that their combine income will be at least $100K per year. Taking consideration of other tax saving techniques (not sure how about they do that), I should say it is highly likely that their income is >$120K. With this, I can conclude that their starting pay has been high. On their net worth, they have paid off a significant part of their flat – I didn’t see you build in this to their net worth (correct me if I miss this) – their story is even more impressive! I believe they still have outstanding debt in mortgage. I didn’t work that in because i didnt came up with the networth figures haha. Its from their blog. I am aware of this information so the best can be said is that that amount is their liquid networth. to counter balance that, we also didn’t add the value of their flat as well. For a couple buying a flat with greater than 500k mortgage, life will be challenging but possible. 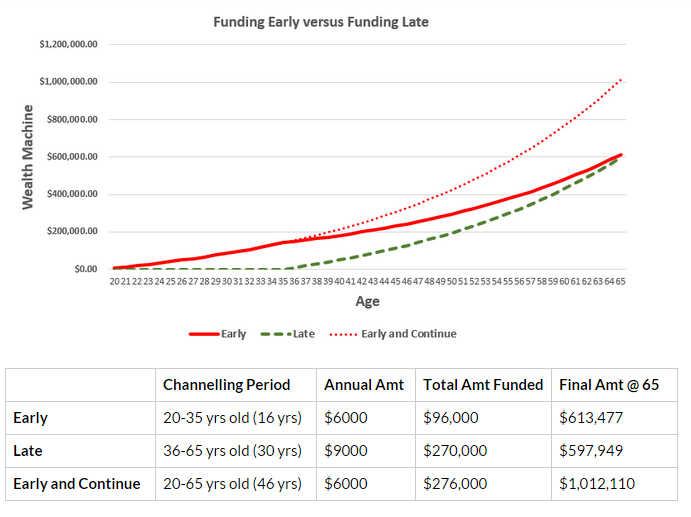 Assuming each earning $80,000 gross, they would have $38,000 in their OA, so they could aim to clear it within 15 years. That way, it will lighten their burden. The plans specified here will still be possible.